Pharmacy technicians work under a pharmacist’s supervision to perform tasks related to the preparation and filling of prescriptions, issuance of medication, and handling of drugs. Pharmacy technician programs teach students how to process medications, adhere to patient medication safety practices, manage inventory, follow procedures for procurement, perform both sterile and non-sterile compounding, and perform administrative tasks. Graduates can take the PTCB or ExCPT exam for national certification. The Job Corps pharmacy technician career training takes 8 to 12 months to complete. Students receive training in three key areas: patient services, medication and inventory, and administration and management of pharmacy practice. 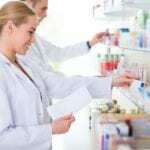 They learn how to receive prescription/medication orders, collect and communicate data, assist pharmacists in accordance with federal guidelines, process and dispense internal products, and determine charges to obtain reimbursement for products. In relation to medication and inventory, the goal is for students to identify pharmaceuticals, communicate changes in product availability, maintain a record of controlled and investigational substances, and remove expired, discontinued, and recalled pharmaceuticals from inventory. Job Corps training is available for low-income students between the ages of 16 to 24. Before completing the program, students must have a high school diploma, pass all the written and performance tests, and complete a criminal background check. Individuals drug or pharmacy related felonies will not be eligible for certification. Graduates of the pharmacy technician program at St Charles Community College are qualified for employment in hospitals, retail pharmacies, and long-term care pharmacies. The program covers 12 weeks of classroom instruction and practical experiences. Registered pharmacist instructors cover prescription drug processing, physiology, drug classification, pharmacy calculations, drug interactions, compounding, and medical terminology. To register for the program, a high school diploma, and tuition must be submitted to the administration. Students must be at least 17 years old. Upon graduation from the program, students will receive a certificate of completion and will become eligible to take the PTCB or ExCPT national exams. Tuition for the program is $765. 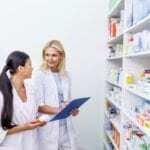 The pharmacy technician certificate course at St. Louis Community College is a non-credit program that prepares students for employment in an entry-level position. The curriculum includes classroom and online instruction followed by an externship experience. The program amounts to 165 hours: 75 hours instruction in retail and hospital pharmacies, 30 hours instruction in pharmacy calculations, and 60 hours hands-on externship. Before registering for the program, the student must have a high school diploma or high school equivalency certification, achieve a minimum score of 8.9 on the vocabulary and comprehension tests and minimum 7.0 on the math concepts and applications of the TABE, and submit a worker registration letter from the Family Care Safety Registry – not older than 6 months. Students must be at least 18 years old. Before the first week of class, students must complete a criminal background check and 9-panel drug screen, a physical exam, immunizations, Hepatitis B immunization series, two-step PPD, and AHA Healthcare Provider CPR certification. Students with criminal convictions will not be able to progress through the program, especially for clinical placement at hospitals and facilities. Tuition costs $2,700. Supplies, immunizations, CPR certification, drug screen, physical exam, Family Care Safety Registry and TABE test cost extra. St Louis College of Health Careers offers both a diploma and AAS degree program. 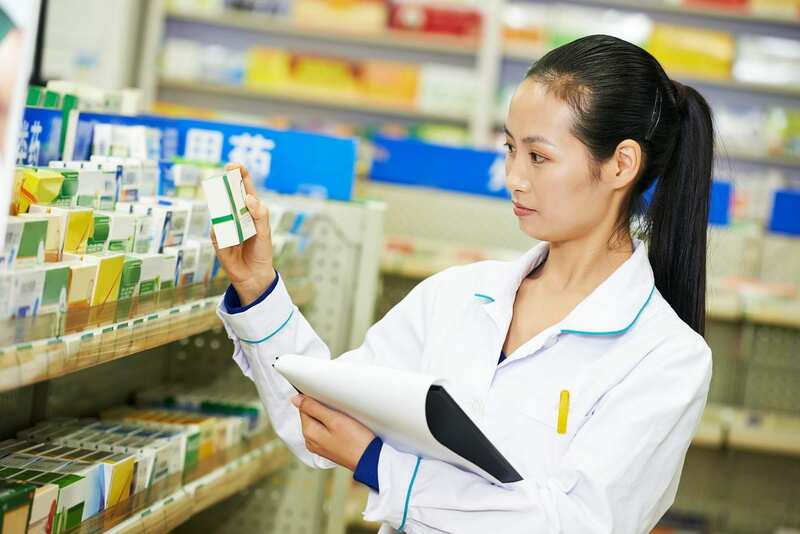 Both programs educate students on the reaction between the human body and medications, processing insurance claims, monitoring inventory, and packaging and orders. The degree program covers 1095 contact hours or 60 credits over a period of 72 weeks. Course topics include pharmacy fundamental skills, human biology theory and lab, psychology, technical math, sociology, ethics, communications, medical billing, electronic health records, legal aspects of medical records, and human pathology. Some courses may be available online. Graduates are eligible to become a pharmacy technician supervisor or pharmacy buyer upon completion. The diploma program is a 36-week program offering 630 contact hours of instruction or 31 credit hours. Course topics include psychology, human biology lab and theory, pharmacy fundamental skills, professional development, medical terminology, and pharmacy externship. Applicants must have a high school diploma, and complete a physical exam, PPD test, Hepatitis B vaccination series, MMR titer, flu shot, background check, and drug and fingerprint screening. Tuition for the AAS program is $30,365. The diploma program costs $15,435. The pharmacy technician certificate program trains students to assist pharmacists in the pharmacy setting. The curriculum emphasizes five major areas: anatomy and physiology, medical terminology, pharmaceutical calculations, pharmacology, and pharmacology practice lab. Practical experiences will be afforded in concert with the classroom training followed by an internship program for students to refine the skills learned. Day students complete the program in 32 weeks. Evening and online classes are 48 weeks. There are 979.5 total contact hours and 38 credit hours in the program. Course topics include medical law and ethics, medical terminology, anatomy and physiology, pharmacology, pharmaceutical calculations, pharmacology, and communication skills. Entry into the program requires a high school diploma or GED. Participation in the clinical experience is mandatory and requires a criminal background check, health screen, immunization, and PPD test. Tuition for the program is $14,755 plus $395 for books and supplies. The pharmacy technician degree program (A.O.S) prepares students for employment as a pharmacy assistant. The curriculum introduces students to fundamental medical language, medical ethics, and billing. Advanced concepts, such as pharmaceutical office management, general patient education, pharmaceutical career planning, pharmaceutical procedures, and introduction to psychology will also be covered. A comprehensive clinical externship will reinforce the concepts covered in the classroom. The program is 90 weeks in length, including 87 quarter credit hours of theory and lab training, 13.5 quarter credit hours of general education, and 7.5 quarter credit hours of externship – totaling 108 credit hours. Students must complete a background check prior to enrollment. Tuition for the program is $38,638. Books and supplies cost an additional $3,150.